What is A Charter Bus ? A Charter Bus or a Coach Bus is a luxury bus with modern amenities such as restroom, DVD player, pa system and luggage storage space. What Does it Costs to Charter A Bus? A Coach bus rate vary from city to city. Normally a coach bus can cost from $ 125- $ 150 per hour. Day rate can vary from $ 990-1250. The price is always determined by the demand and the supply. In major cities such as New York and San Francisco, the rates tend be higher. Also during summer time prices can be higher due to higher demand. How Early Should I Book My Bus. Normally a charter bus should be booked at least thirty days in advance. What is difference between Renting a Coach Bus and Charter a Bus? Basically chartering and renting are the same. Big Buses are always rented to groups with driver. Does the Charter Bus comes with a Driver ? Don't worry you don't have to drive the bus. A charter bus always comes with a professional driver with passenger endorsement. Is Alcohol Allowed In The Bus? Yes alcohol is permitted in the bus. But passengers are required to handle it carefully. What If My Bus Is Broken Down? If the bus is broken down during the trip, you can contact us our 24/7 customer support center at 877 277 6678. We will try to fix the bus asap or we will have a replacement bus at the earliest possible date. Can We Bring a Cooler in the Bus? Of course you are most welcome to bring the cooler. Does your Bus has Handicap Accessibility? 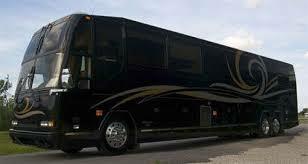 Yes, we do have coach buses and minibuses in accordance with Americans With Disabilities Act. Let the account executive know that you need buses that meet the ADA criteria. What is the Booking Process or How Can I Book A Bus? You simply have to fill our reservation form online and our representative will contact you to discuss your trip and plan and execute it. Is Deposit Required to Book A Bus? A 20% deposit is required when you book the bus. The rest is due by the day of the service. Yes we gladly accept purchase orders from schools, universities and other government and non governmental agencies. We accept all major credit cards, Purchase Orders and Checks. Do You offer Discount For Multiple Buses? Yes, depending on the number of buses, we do offer great discounts for ordering multiple buses. Do I Have To Tip The Driver? A 15-20% tip will be added to the bill. So you don't have to tip the driver. If you think the driver did an excellent job, you can appreciate by giving him extra tip. Do We Have To Provide a Room For The Driver? Yes for multi day trips room has to be provided. But most of the time, when you book the hotel, if you request a complimentary room for the driver, most of the hotels will gladly provide it for you at no cost to you. Do I Have To Pay For Parking And Tolls? Yes normally the passenger has to pay for the tolls and parking. We will be paying it up front and it will be billed as tolls and parking in the bill.